Previously, we showed you how Natasha Afzal (also known as BeautyWithTashy) played Dior personal beauty shopper to Jaslyn Rangson. The owner of Jaslyn Cakes and Dew prefers a natural approach to makeup, thanks to her job. This prompted Natasha to pick out makeup items that would subtly enhance her features, such as the Diorshow Brow Styler and the brand new Dior Lip Glow in Ultra Pink 008. This time around, Natasha was acquainted with local dance artiste Suhaili Micheline. As a regular performer on stage, Micheline is no stranger to makeup. In fact, performing on stage means that the dance artiste would need to put on bolder makeup for the audience to see her facial expressions. With this in mind, Natasha knew precisely what items to pick out as Micheline’s Dior personal beauty shopper. This time, Natasha picked out not one but two Dior lip products for Micheline: the Dior Lip Glow in Holo Pink 010 and Rouge Dior Liquid in 999. The former is one of the newest additions to the Dior Lip Glow range, and features a shimmery, iridescent pink shade that’s perfect on its own or layered with another lip product. That was precisely what Natasha had in mind for Micheline. 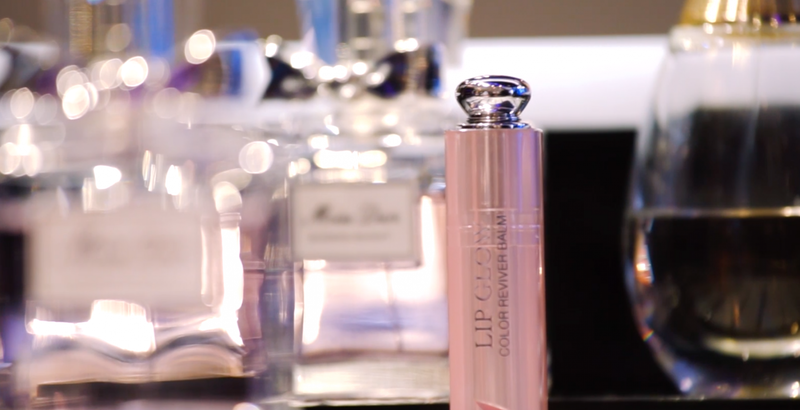 The former suggested that she first applies the Lip Glow, followed by the Rouge Dior Liquid. The overall result is plumper, fuller lips with dimension to them rather than a flat, matte look. To see more about what else Natasha picked out for Micheline as her Dior personal beauty shopper, click to watch the video below!